Robertson’s main concern in downsizing was that the family would end up tripping over one another, but careful planning seems to have handled this dilemma, she says. 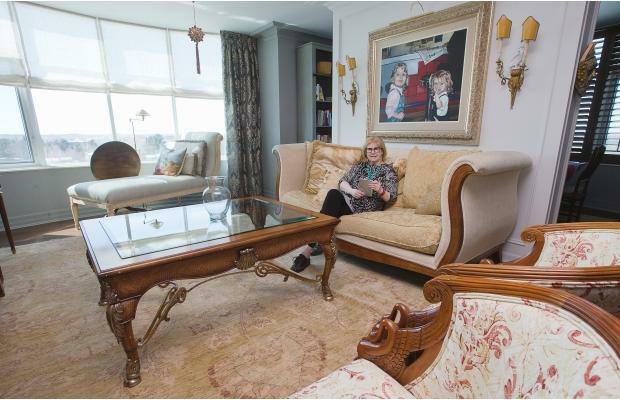 OTTAWA — Over the years, Brenda Robertson has become known as a tastemaker in the Ottawa home market. 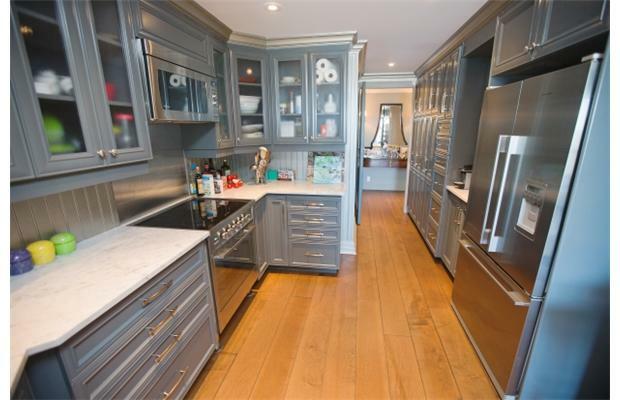 She has built and renovated several houses in Rockcliffe Park and, each time, has transformed them into spectacular homes. Brenda and her husband Ron’s latest move was unusual for them in that it involved moving out of their longtime neighbourhood and downsizing to a condo at Riverside Gate near Riverside and Uplands drives. The Robertson’s incorporated exciting design features into their renovation, transforming the space. Here are Brenda’s reflections on their move. Q: Why did you and Ron decide to move to a resale condo and renovate instead of buying in a new condo building? A: The quality was the highest. Also, no other condo offered such a good array of amenities. 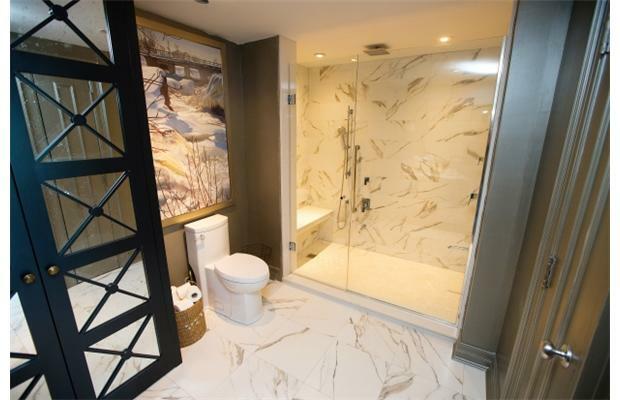 A large gymnasium, library, party room, craft room, workshop, guest suite, 24-hour concierge, a manned gate house and, in my opinion, the best and largest indoor salt water swimming pool of any condo in Ottawa. Q: You have renovated and built many homes over the years, but did you find this particular project harder to do than you anticipated? A: We left our large home to move here and had to assess what would fit our new environment and what would not. Once we determined what we wanted to live with, we determined certain changes would have to occur. Our apartment is just shy of 2,200 square feet. Both my husband and I have always maintained an office at home and since we are in our mid-60s, it was imperative these home offices would completely suit our needs. Our younger daughter lives with us and it is very important that she feels at home here as well. The master bedroom required reconfiguration to accommodate our needs and was changed to accommodate a large walk-in shower and to allow for additional storage. Adding a dividing wall to the living room allowed us to accommodate a combination library/dining room. Adding custom closets to each of the two bedrooms and removing the closet from the entrance and replacing it with a generous armoire improved the arrival area. Q: What was your plan for your project and did you stay within your allotted budget? A: The opening from the living room to the room that became my husband’s office was filled in and reopened at the end of the front hallway. The renovation was extensive and we installed all new doors and hardware. Very little space was unaltered. We planned our renovation well and set a budget, which we ended up tripling. Having completed several renovation projects in the past, the project was relatively easy. Michael Courdin provided excellent guidelines and design. Q: What were your main concerns about downsizing to a smaller space? A: That our family would end up tripping over one another. Careful planning seems to have handled this dilemma. Each of us has areas we can be alone and yet still feel connected. Q: After moving from a large home, has condo living met your expectations? A: I resisted moving to a condo for many years. We were fortunate enough to have lived in several beautiful homes and this suited our chosen lifestyle. We were well established in our community. Both my husband and I enjoyed entertaining and did so frequently. Our houses were large but an elevator in our last home assured accessibility. Suddenly, we realized we wanted a change. We wanted to spend winters away. Also, we wanted to travel more. Every time we left our home for an extended period of time, we felt very guilty. Our home required full maintenance whether we were there or not. We had beautiful gardens and a large pool. The upkeep was expensive and security was an issue. Moving to a condo allows us the benefit of leaving a secure environment. Our daughter is comfortable here as well.